For their birthday, don’t let your kids and their friends bounce off the walls of your living room! Come to Escalade Clip ‘n Climb Laval where they can climb our walls instead! 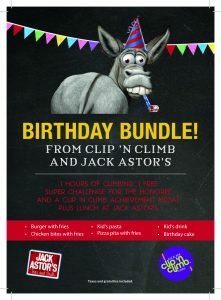 A birthday at Clip ‘n Climb is a safe and fun way to try different challenges that everyone will talk about. 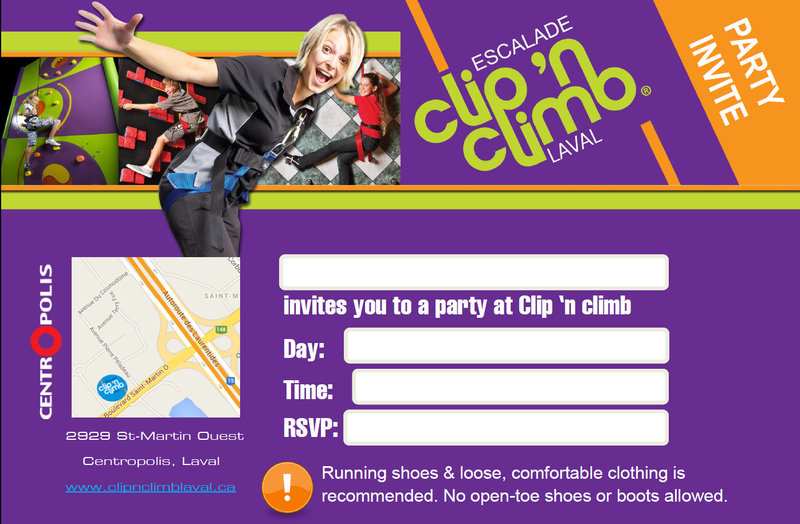 A friend suggested I get my 7-year-old grandson an Escalade Clip ‘n Climb Laval birthday party as a gift. Amazing! We invited five friends who, after being well prepared for the adventure, had a blast climbing walls and jumping for an hour. Thanks to the fully secure harnesses, that time was filled with cheers and thrills ;-)) plus, we had a great Clip ‘n climb themed cake. Magnificent pictures guaranteed! The young and dynamic employees take good care of all the children so it was a great experience for everyone! Access to a party room for 45 minutes with a cake (for 12 to 16 people) served with water and juice. Plates and utensils included for the cake serving only. There’s no fridge available for the customer , please bring your cooler. Suggest price for 8 climbers . 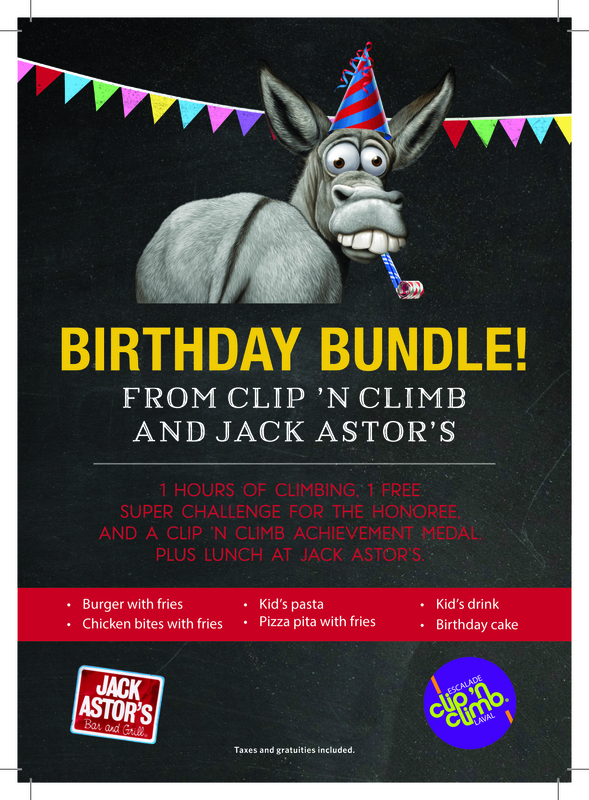 You can reserve a birthday package for less than 8 climbers . 3 kind of cake available. You have a lot of littles monkeys to invite ! No problem, you can print your Birthday Invitation here !